Most employers strive to make their workplace as safe as possible to prevent an occupational injury. Safety training seminars and dedicated safety compliance officers are a few methods companies use to keep workers happy and healthy. However, even the safest and most diligent workplaces will have employee accidents. 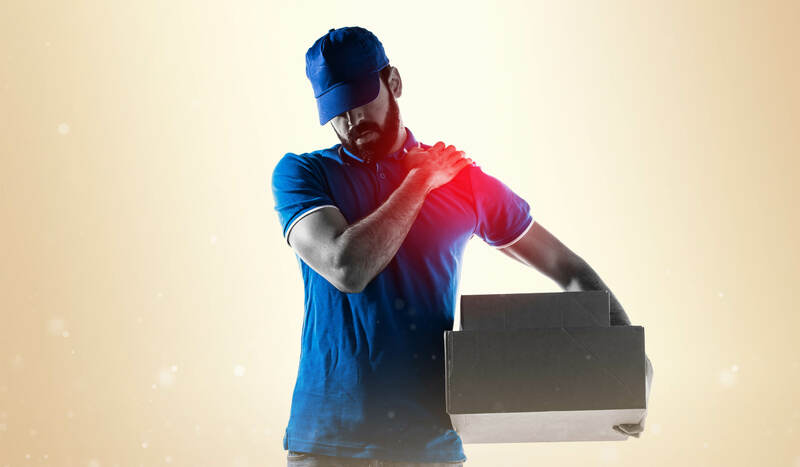 Panther Physical Therapy is here to help identify some of the most common causes of occupational injury and what you can do to lessen the risk of getting hurt. While most of this may sound like common sense, these accidents happen in workplaces every day and cause fractures, cuts, bruises, head and neck injuries, sprains and strains. Regardless of the type of job that you have, almost every employee will have to move or lift something to accomplish a task during their daily routine. For people who work in a warehouse setting or retail store, they are likely to be lifting heavy pallets of goods throughout the day. Those who work in an office setting may need to move a desk, computer, printer that can weigh hundreds of pounds. Employees who try to lift something that is too heavy for them or lift primarily using the muscles in the back put themselves at risk for muscle tears, sprains and strains. Reduce your risk of a work-related injury by knowing your limits and learning to lift with your legs. Once an occupational injury has been suffered, it is the goal of a physical therapist to get the patient back to work as quickly and safely as possible. Panther Physical Therapy offers a specialized treatment plan for workers who have gotten hurt on the job. Work hardening focuses primarily on practicing the daily job-specific tasks an employee would see on a normal workday. If you have a work-related injury that is keeping you from returning your job, contact us. One of the friendly administrators at Panther Physical Therapy can help set up your first appointment and go over your treatment options to help you recover from an occupational injury.